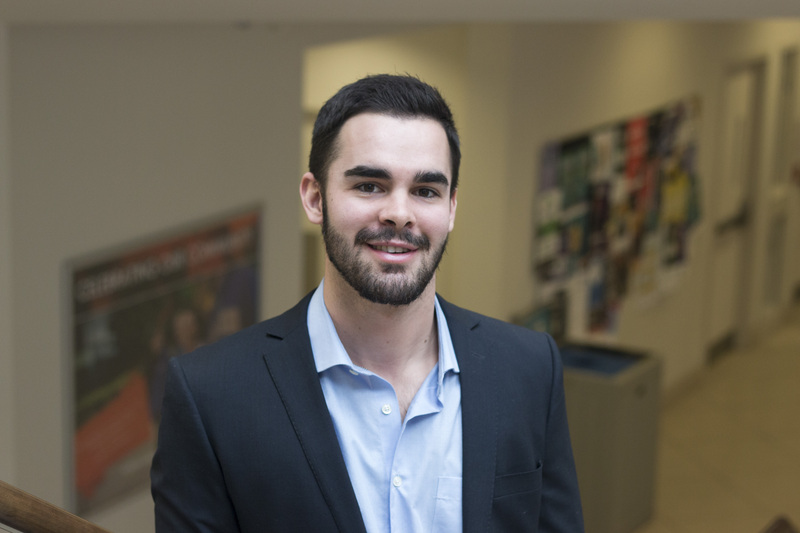 Jason McCann, a fourth-year Wilfrid Laurier University business student, just launched an app that will handle long and tiresome snow removal this winter for residents and small businesses in Guelph, Waterloo and the surrounding areas. The app, MowGoSnowGo, also does lawn maintenance and operates similarly to Uber by connecting the contractor to the customer. The customer can access contractors in the area by making a request on the app and available contractors are able to view job listings. When a job is accepted, the contractor must take before and after photos for the customer and the payment is finalized when the customer rates and “completes” the job on the app. According to McCann, there is an hour window for the job to be accepted and each job will approximately take three to five hours. This range depends on the snowfall, as some days may be busier than others. Thus far, MowGoSnowGo has worked for residential areas, but is also used by the Huether Hotel and other hotels in Waterloo. McCann said other businesses such as restaurants have used the app “randomly” but the constant demand comes from residents. The immediacy without commitment is what draws clients to use the service, said McCann. The biggest benefits are speed and convenience as there is no contract required and most would rather wait for a big snowfall before having to pay for a snow plowing service. Also, this enables the customer to place a request and ensures the job has been received on the app and will be done in a timely manner. “It’s much different from taking a call, writing down the address, knowing what they want and giving a quote. It’s already done for them [on the app] so all they have to do is accept it,” he said. Initially, to test consumer demand this past summer, McCann personally completed on demand requests in Guelph. The expansion to Kitchener-Waterloo was decided after the success of the idea. McCann currently has partnerships with six contractors, and before they are able to work, the contractor must have the right equipment. The contractor must also have $2 million in liability insurance. When these requirements are met and the location is set, the contractor is then able to use the app. To get the idea off the ground, McCann made connections with Kairos Society of Canada and LaunchPad Laurier. He also specialized in entrepreneurship, which allowed him to learn more about starting his own business as entrepreneurship has always been a career goal. “Going through school I’ve always been interested in starting my own business. It has always been a part of my life,” McCann said. McCann credits most of his guidance from Kairos, a non-profit organization that brings together entrepreneurs to build connections. The society is also where he met his programmer for the app. Feedback from the Guelph and K-W communities has been positive thus far, said McCann. As for next steps, McCann hopes to expand across Ontario and nationally in the next three to five years.